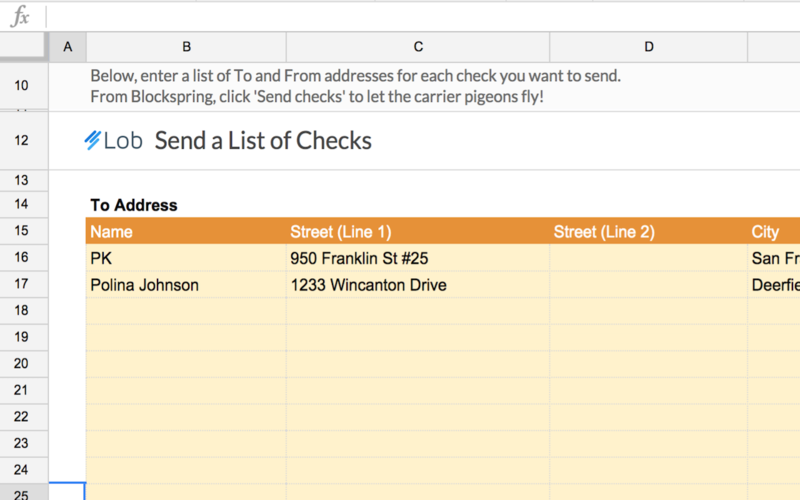 Print and mail checks right from Google Sheets. Great for businesses looking to automate workflows (such as sending refunds). Lob charges per piece of mail sent. Check their website for pricing details and mail content restrictions.